The new and improved player is now available in your Zimbalam area. Your Zimbalam area has been updated today with the new player, which has been given a design and functionality overhaul to improve the visual impact and uses of the player for your music! The new player is the best tool to convert your audience and fanbase into digital customers and can be implemented across all web applications. More Customizable: Pick any background image, you no longer just have the option of using your artwork and there is a huge choice of colors available to suit. 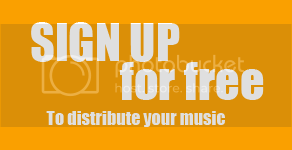 ← Make More From Your Music, With Zimbalam You Now Earn 100% of the royalties from your sales!